Wow! it is an amazing journal. I really enjoy the Pilgrims Journal. I am missing a few paper copies and would like to see if I can get them. My church (New Testament Church) in Chicago Area has helped me get a few of them in paper form, but was hoping and praying you could help me get the rest. I am not always able to sit at my computer due to health problems that is why I am asking. I am bed bound 2-3 days out of the week. I value pilgrims journal magazine. I want to read it every month. But I don’t know their contact ID. Can you help? An online edition will do. 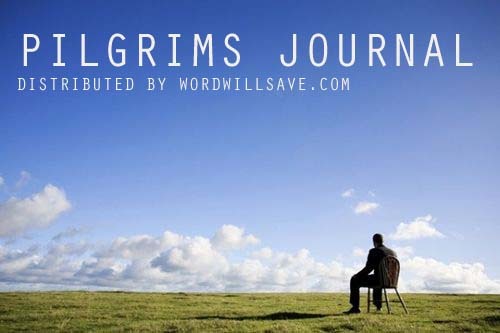 pilgrims journal is rich in spiritual edification, in revelation of the word and prophetic. It helped me all through these years to gain insight. I thank God and all the servants who work behind it. May God bless and increase you in all light and abundance of his grace.